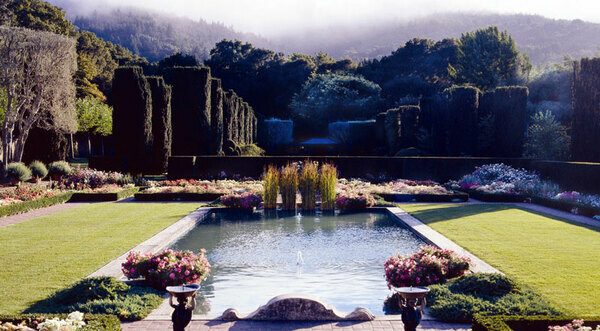 Set in a wooded Californian valley, Filoli is an outstanding example of the Italian phase of the Arts and Crafts Style. It was designed by Willis Polk in 1915. The name is taken from the owner's credo 'FIght for a just cause, LOve your fellow man, LIve a good life'. 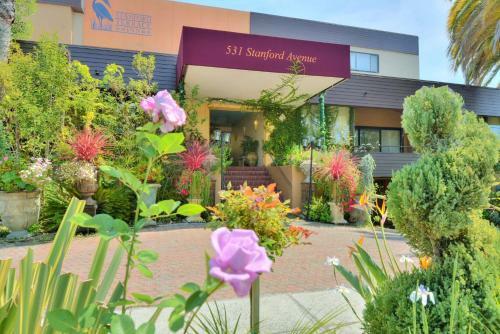 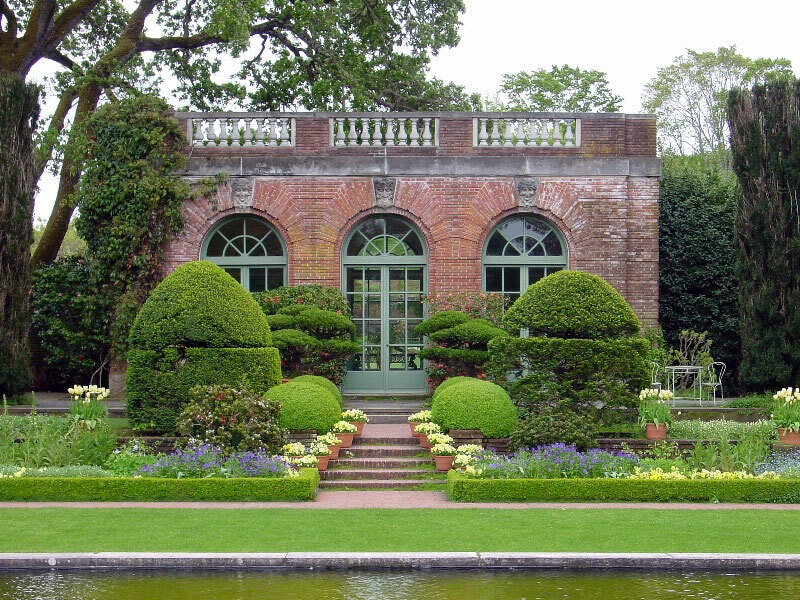 The garden has a central axis and a series of compartments enclosed by hedges. 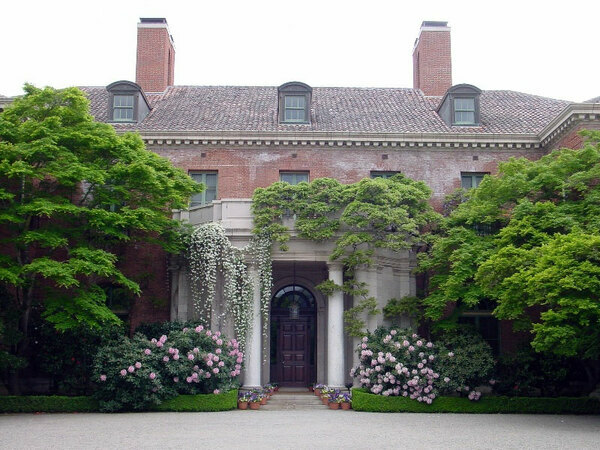 The Walled Garden is subdivided into rooms. 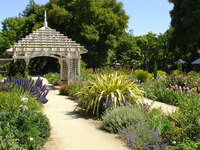 There is also a woodland garden. There is naturalistic planting, in the manner of Beatrix Farrand and Gertrude Jekyll, but using Mediterranean plants, and there annual bedding. 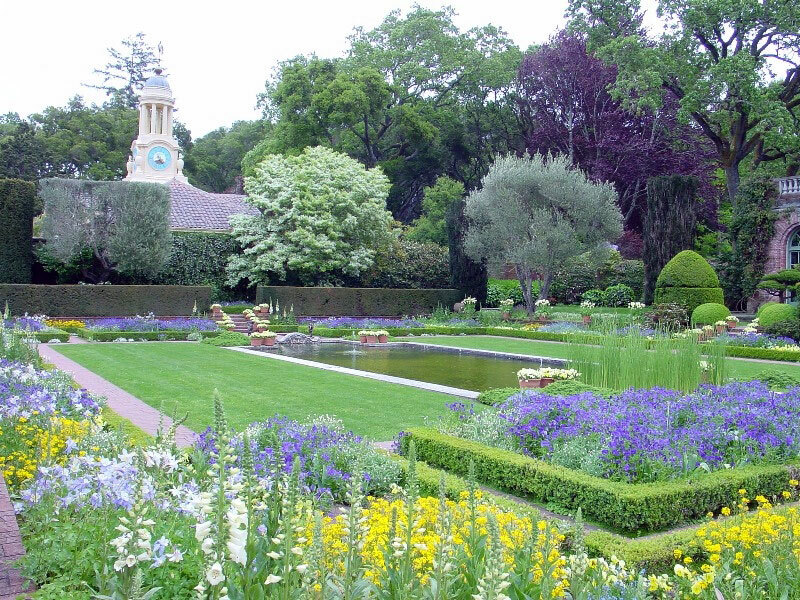 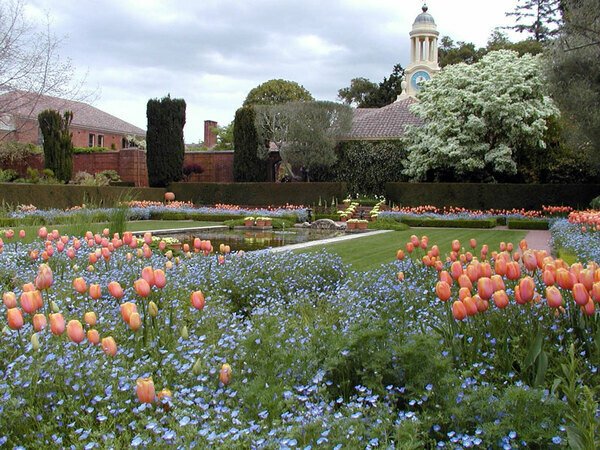 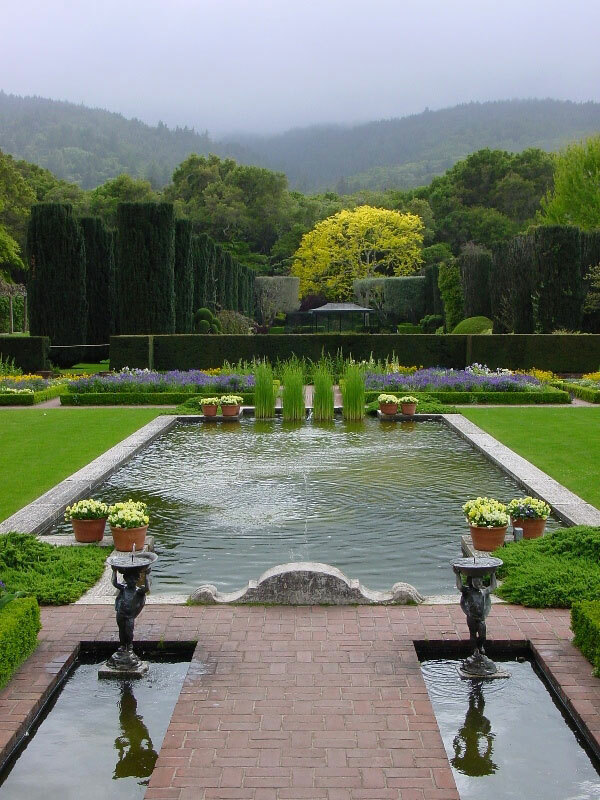 Filoli has often been used as a movie set and was used in the opening shot of the TV series Dynasty.